The Dublin animation company, Salty Dog Pictures is providing overseas animation services for the new spinoff of the famous Flintstones cartoon. 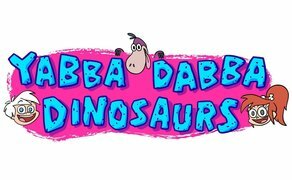 The animation company has concluded a deal with Warner Brothers to create 24 episodes for the spinoff titled ‘Yabba Dabba Dinosaurs!’, which will consist of around half the series. Salty Dog was founded in 2013 by producer Deirdre Barry and director Clifford Parrot who have worked at some of the largest animation studios in the world, including Disney, Cartoon Network and Comedy Central. More recently, the company worked on ‘The David S. Pumpkins Halloween Special’, starring Tom Hanks, which ran on the major U.S television show, Saturday Night Live. As well as ‘Yabba Dabba Dinosaurs!’ Salty Dog Pictures is currently developing a new animated sitcom, ‘The Mooneys,’ which follows an Irish-American family who try to make a new start on a moon colony. The studio has Pete Michels (‘The Simpsons’) to direct and is currently casting.